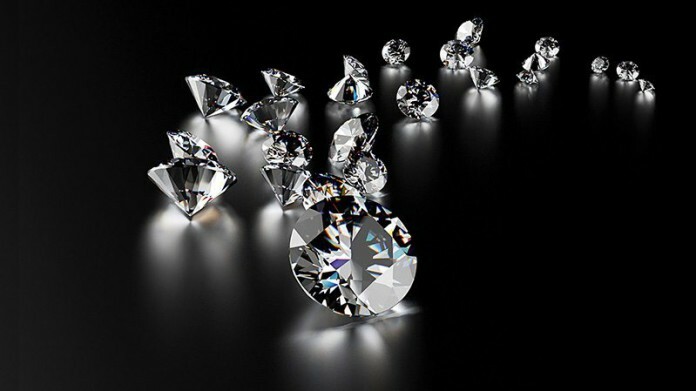 DE BEERS said it had secured one of Canada’s best undeveloped diamond deposits following a C$107m cash transaction in which it bought outstanding shares in Toronto-listed Peregrine Diamonds. “With a strong outlook for consumer demand, we are seeking new opportunities to invest in our future supply potential and look forward to growing our portfolio in Canada and working with community partners in the Nunavut Territory as we further develop the project,” said Bruce Cleaver, CEO of De Beers referring to Peregrine’s Chidliak property. Chidliak is located in Canada’s Nunavut Territory and consists of 74 kimberlite pipes. In its entirety, the project has a total inferred mineral resource in excess of 22 million carats. On the basis of Peregrine’s exploration, an estimated grade of 2.41 carats per tonne and a diamond valuation of US$151 per carat (equal to US$360/tonne) make the centrepiece target of Chidliak – “CH-6” – “… one of the most attractive undeveloped diamond resources in Canada,” said De Beers in a statement. Peregrine also has exploration properties elsewhere in Nunavut and the Northwest Territories, it said. The offer for the company is equal to C$0.24 per share. “The Chidliak resource holds significant development potential and will be an exciting addition to our portfolio,” said Cleaver. De Beers began commercial production of the Gahcho Kué diamond mine, also in Canada’s Northwest Territories, last year. The mine, a joint venture between De Beers Canada, which has a 51% stake and is the operator, and Mountain Province Diamonds, was forecast to produce an average of 4.5 million carats annually – a target that was met by early October for 2017. The out-performance was put down to higher than expected recovered diamond grade of 2.07 carats per tonne and the removal of plant bottlenecks. The transaction has been unanimously recommended by Peregrine’s board. Voting support agreements with the directors and officers and certain other Peregrine shareholders holding a total of 44% of the stock have been entered into with De Beers. The transaction is to be executed via a plan of arrangement and ought to be concluded in September. They have essentially replaced the Finsch resource plus some, at half the price, in a first world jurisdiction. Great deal by De Beers. Good news!! All that great expertise put to good use. Refreshing.